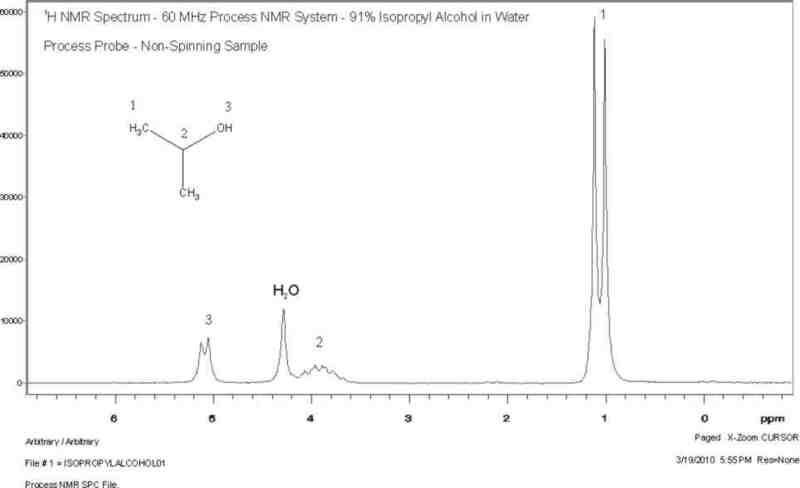 These are non-spinning spectra obtained on a Qualion process NMR spectrometer operating at 58 MHz. The spec on water at this shim level is 1.5/5/20 Hz at 50%/10%/0.5% peak height. The first spectrum is of 91% isopropyl alcohol in water – store bought pharmacy product. The second spectrum shows the comparison of a 300 MHz 1H NMR spectrum of Advil compared to a non-spinning 58 MHz spectrum.